We, Taknia Telecom Co. are specialized in the telecommunication service for various types of telecommunication equipment. 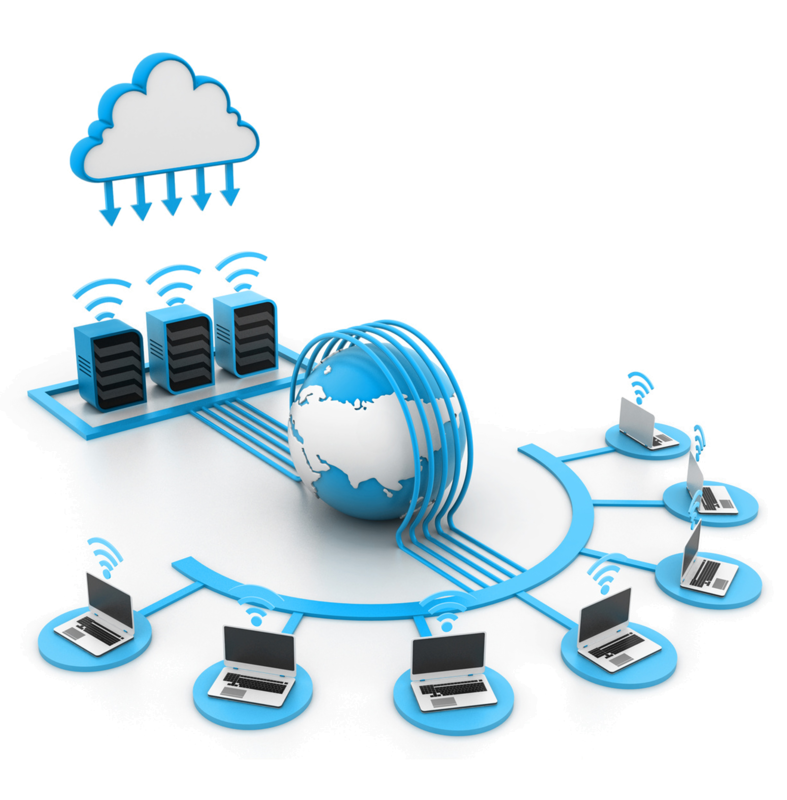 We were established to provide telecommunication services as a contractor & system integrator. This includes Installation and Implementation for wired and wireless Technologies, site acquisition, site preparation civil works, steel works, commissioning and maintenance. We are a provider of reliable IT services for business. We use our extensive knowledge of advanced technologies to evaluate and recommend solutions that make sense for your IT infrastructure and business needs. By doing this, we enable you to leverage your existing network resources and plan for future technology so you can take advantage of proven technologies cost effectively. A one-stop source for Telecommunications and Networking Solutions with a concentration on professional services, Taknia offers a variety of products and services to satisfy even the most complex organizational requirements. Al-Taknia has its offices in Riyadh, Jeddah and boosts a strong reference list and successful case studies. Our Corporate objectives are set to offer and provide our clients with the technical services to meet their requirements to their entire satisfaction, putting much emphasis on the quality, but within reasonable and competitive rates. In order to achieve these corporate objectives, and to accurately and efficiently execute all the jobs in hand, the management has strictly implemented a policy dictating that all the test equipment and other related materials to be used in every project should only be supplied by recognized and prestigious manufacturing companies. Such equipment and materials are widely used by all the international communication companies in similar projects. Taknia Mission is to achieve excellence and total customer satisfaction in providing state of art professional services in Fiber Optic, OSP Networks, VHF, UHF system, converged solutions (IPT, IPTV, IP-CCTV, and data networks) and low current systems. We provide data, voice, video transmission and Outdoor/underground/aerial cabling services to private and government sectors in the kingdom. 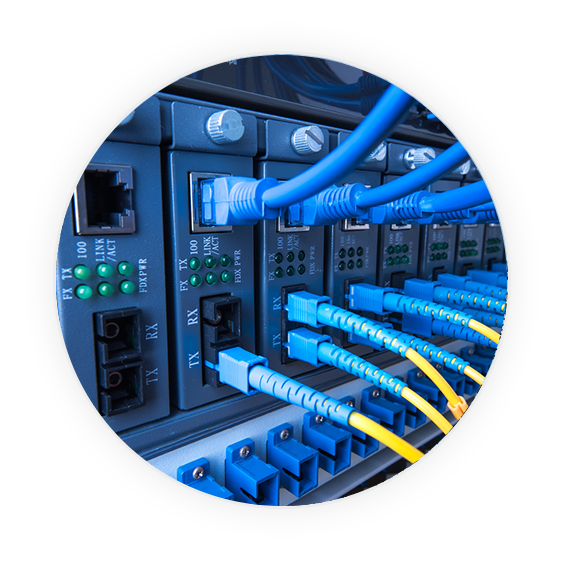 We offer most up-to-date and robust cabling brands at your desired need. Our team of design Engineers has a wide experience in the areas of technology, products, and business installation: we can install your systems according to your business requirements. Maintenance: We can insure than any problems are resolved quickly and efficiently..
We provide a comprehensive range of LAN, WAN and security systems, all based on products from leading manufacturers. We can supply routers, switched, Gigabit Ethernet, converged data and voice systems, network security, secure wireless, cabling and all other missioncritical LAN, and WAN components. We even can provide the latest Fiber technology POF (Polymer Optical Fiber) in Networking.